Fractured communities, democratized tools, and cultural shifts as viewed through the act of making noise. We are not really talking about music anymore. Gregory Taylor currently labors on behalf of the new media software company Cycling ’74, where he is in demand as a workshop facilitator and content creator. He is one of those visual artists who discovered that the process of using the recording studio as a compositional tool was more personally rewarding than waiting for the paint to dry and opted for a life creating imaginary cultural artifacts of an audible nature. He has studied central Javanese gamelan and electroacoustic music in the U.S. (Cornell, UW-Madison, New England Conservatory) and the Netherlands (Instituut voor Sonologie), written for publications such as Wired, Recording, Array, and Option, and hosted a radio program of contemporary audio on WORT-FM since 1986 (http://www.rtqe.net/RTQE.html). 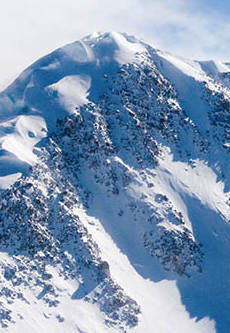 Talk: Photos and video taken on an aerial summit tour around the upper reaches of Alaska’s Denali (formerly Mt. McKinley) in 2008 show the terrain of the Mountain and historic climbing routes. Photos of parts of the route used by the tragic, controversial 1967 Wilcox expedition illustrate the challenges to climbers of Denali’s terrain and its extreme weather conditions. Bio: Charles (Chuck) Kime is an Emeritus Professor at the University of Wisconsin – Madison. He has degrees in Electrical Engineering from the University of Iowa and the University of Illinois – Urbana-Champaign. At UW, he joined the faculty of the Department of Electrical Engineering, now Electrical and Computer Engineering, in 1966 and retired from there in 2001. He specialized in computer engineering with research in system fault diagnosis and VLSI testing. Chuck was named an IEEE Fellow for his work in these two areas and was as an Associate Editor of two IEEE journals and on committees for numerous conferences in testing and fault-tolerant computing including two held at Monona Terrace in Madison. Heavily involved in computer engineering course development, he led the establishment of the undergraduate Computer Engineering degree at UW Madison. He was the primary coauthor of four editions of the textbook Logic and Computer Design Fundamentals. Chuck’s hobbies are photography, travel and reading. The recent interest on the magnetization reversal process of novel families of nanowires originates in the need to have full information about their magnetic properties for different functionalization and technological applications. The electrochemical route to fabricate nanowires is attracting much interest owing to their low-cost and reliability to fabricate tailored magnetic nanowires and nanotubes. This technique enables the synthesis of nanowires with cylindrical symmetry in opposition to nanostripes prepared by lithography techniques. Arrays of such nanowires can be grown with diameter of 15 to 200 nm, and length from 100 nm up to tens of microns. Cylindrical nanowires can be also grown with compositional multisegmented character and with controlled modulation in diameter intended to play a similar role as notches in lithography nanostripes. The particular study of Co-based nanowires is relevant since their magnetocrystalline anisotropy, in opposition to Py nanostripes, plays an important role to determine the magnetization reversal mechanism by vortex or transverse domain walls and spin rotation modes. Most recent results in our laboratory will be overviewed specially focusing on the spin reversal process in Co and CoFe individual nanowires after their release from porous templates. Knowledge of the fine crystalline structure, through high resolution transmission electron microscopy and other advanced techniques, is essential to determine the magnetocrystalline anisotropy and the spin reversal process. Professor Manuel Vazquez was born in Madrid, Spain. He was awarded a PhD in Physics by the University of Madrid, 1980; had post doc stays at Max-Planck-Institute fuer Metallforschung, Stuttgart (1981-3) and at the Technical Univ. of Denmark, 1985. He was Associate Professor at Madrid University, 1985-1989, then, he moved to the Spanish Council for Research where he became Research Professor in 1996. He is presently heading the Research line of Nanomagnetism and Magnetization Processes at the Institute of Materials Science of Madrid, CSIC. His main scientific interests lie in the topic of Magnetic Nano- and Microwires, with particular emphasis on the magnetization reversal processes, domain structure and domain walls, and magnetic anisotropy (i.e., magnetostriction). With more than 400 publications, co-authoring of 9 chapter books, and about 20 patents, he has given over 70 invited talks in international conferences and research centers, has supervised about 30 PhD and hosted a number of international visitors. 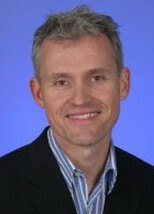 His most recent interest is overall related to the development of three-dimensional magnetic nanostructures by combined electrochemical/lithography techniques, and to unveil the magnetization reversal process and domain wall structure in individual and ordered arrays of magnetic nanowires and nanotubes as well as of antidot thin films. Research efforts are being addressed to the study of Co base cylindrical nanowires/nanotubes where the tunable magnetocrystalline anisotropy plays an important role. 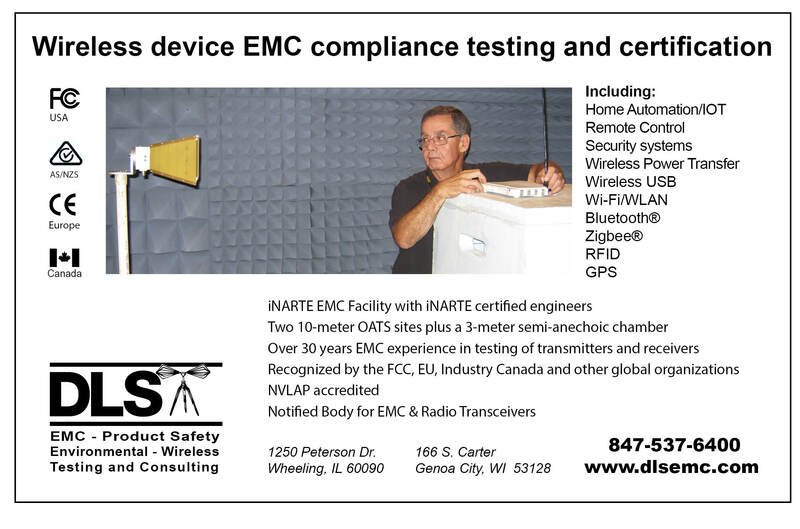 At the November 5 meeting, Tom Kaminski explained how software is used to process radio signals to accommodate a wide range of input signal characteristics and output requirements. After reviewing the underlying digital signal processing theory, Tom explained and demonstrated the hardware and software that is used to implement software defined radio (SDR). An SDR system can be implemented using a $20 USB pre-processor dongle and free-download application software on a computer or cellphone. For a small, inexpensive, stand-alone system, a Raspberry Pi or similar single-board computer can be used instead of a notebook or cell-phone. Using a GQRX software receiver, Tom demonstrated reception of local FM broadcast stations and NOAA weather radio. In a better location or by using a better antenna, aircraft, satellite, police, amateur and other signals could be received. Tom also described his work with UW-Madison students collaborating with Project Lifesaver International to build drones equipped with SDR systems for locating lost people who wear location signaling devices due to their limited capacity to find their way. In a similar project, he worked with UW wildlife researchers to develop systems for coyote and fox tracking. The presentation generated numerous questions and a lively discussion that began while Tom set up his equipment and continued during and after the presentation. You can access Tom’s presentation slides here. ” — Dr. Everett Smith spoke to our Section about Osteoporosis research. Americans spend $44 billion dollars on diagnosing and treating osteoporosis. The human skeletal system has three purposes: support, a mineral reservoir, and blood cell formation. Osteoporosis affects the skeletal system’s ability to support the body. Smith’s research studies bones in chambers that keep cultures and alive and subject them to variable loads. He studies that amount of bone compression as a function of load. This load must be applied cyclically in a way calculated to prevent the bone from responding to the load by getting harder. Bone is similar to a sponge in that the slope of its compression vs force graph is low for low forces, increases in an intermediate “spongy” zone, and then plateaus. If we plotted the slope of compression change vs force, it would show low values except for a parabola-shaped hump in the compressible zone. The studies reveal how the microscope features of bone structure respond to mechanical force and how this response can be influenced by medical interventions. Smith discussed how the drug Celebrex inhibits COX-2. This blocks prostaglandin, which plays a role in how bones respond to mechanical load. They also studied how endothelin blocker reduce insulin-like growth factor (IGF-1) The load cells may be the part of most interest to EEs. They must keep the bone cells alive, tolerate the chemicals the researchers want to expose the bones to, and deliver a variable load to the bone over time according to the researchers’ desired load vs time program. What researchers learn using them could lead to new ways to mitigate the effects of bone aging. 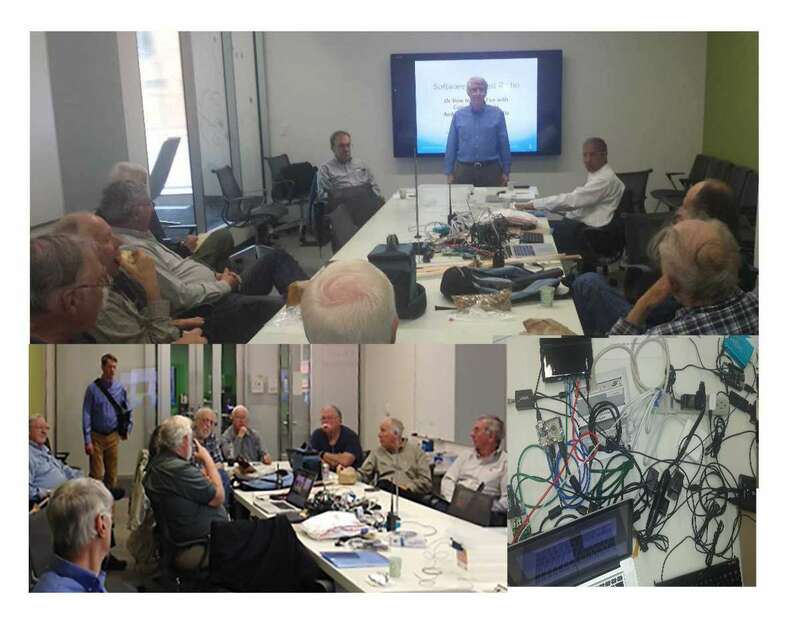 December Madison Section Meeting: Greg Taylor from Cycling ’74 will give a talk on his view of what is happening in the area of electronic musis, both analog and digital. 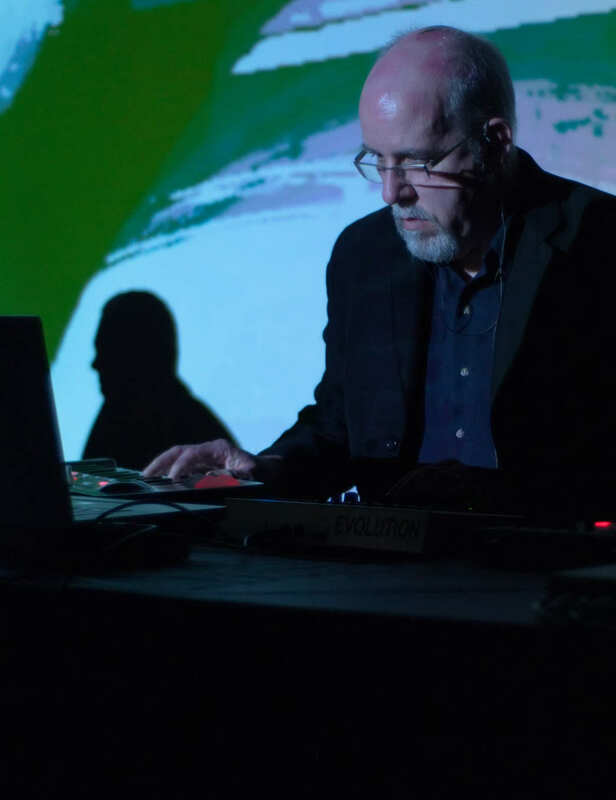 In addition to composing electronic music, Greg has a wealth of knowledge of the tools of the trade, in part through his employment at Cycling ’74, a software company that make things happen with a full kit of creative tools for sound, graphics, music and interactivity in a visual environment. Greg also hosts a local radio show “RTQE” (Remember those Quite Evenings) on Sunday evenings on WORT. Greg’s presentation should be a great way to learn about what is happening in electronic music. December ECN Meeting: Was held on Thursday, December 3rd before the Newsletter was published. It was a social/professional “Meet and Greet” where attendees shared their background and talked about what they do. January Life Member Affinity Group Meeting: Chuck Kime will be giving a dynamite image and video presentation of his photos from Denali. Chuck has used time in retirement to polish his considerable skill in photography and videography. Don’t miss it! Check out some of his work Chuck Kime | Flickr. January Madison Section Meeting: Professor Vasquez, the current President of the IEEE Magnetics Society will give a lecture on CoFe Nanotubes. NOTE THE DAY change — Monday rather than the usual third Thursday. Madison Section Officer Elections: You should have received an electronic notification (full members only, no student members or affiliate members) of the Section Officer Elections. PLEASE VOTE by clicking on the link. If you have forgotten the link, you can access your voting history (including the latest ones) at this vtools voting link. You must have an IEEE login to vote. Antenna Modeler: Do you have experience with designing and modeling antennas? The UW-Madison IEEE Student Branch project team would love to have you help them model the RDF antennas they have built. The IEEE-Madison Section of the IEEE is a section in Region 4 of the IEEE-USA organized to serve IEEE members in the Madison, WI area with over 600 members. The 2015 Officers and Board Members are Charles Gervasi – Chair, Steve Schultheis – Vice Chair, Tom Kaminski – Treasurer, Matthew Bartlett – Secretary, Timothy Chapman – Webmaster, Tom Kaminski – ECN Chair, Dennis Bahr – Engineering in Medicine and Biology Chapter Chair, Ann E. Thompson – Educational Activities Chair, Chuck Kime – Life Member Affinity Group Chair, Scott Olsen – Membership Development Chair, Members at Large: Mitch Bradt, Clark Johnson, Craig Heilman, Dennis Bahr, Sandy Rotter.